The Following is a very nice verse from the Sri Caitanya-caritamrta about the importance of Chanting the Holy Name of the Lord. 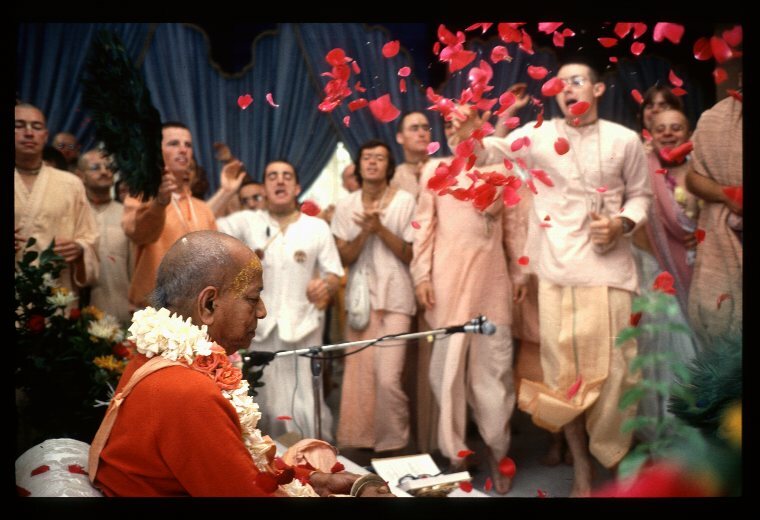 Following that is the verse which describes the importance of chanting the names śrī-kṛṣṇa-caitanya prabhu-nityānanda before chanting the Hare Kṛṣṇa mahā-mantra, and the ten kinds of offenses which should be avoided. tāra madhye—of the nine different types of devotional service; sarva-śreṣṭha—the most important of all; nāma-saṅkīrtana—chanting of the holy name of the Lord; niraparādhe—without offenses; nāma laile—if one chants the holy name; pāya—he gets; prema-dhana—the most valuable ecstatic love of Kṛṣṇa. iyaṁ ca kīrtanākhyā bhaktir bhagavato dravya-jāti-guṇa-kriyābhir dīna-janaika-viṣayāpāra-karuṇā-mayīti śruti-purāṇādi-viśrutiḥ. ataeva kalau svabhāvata evātidīneṣu lokeṣu āvirbhūya tān anāyāsenaiva tat tad yuga-gata-mahā-sādhanānāṁ sarvam eva phalaṁ dadānā sā kṛtārthayati. 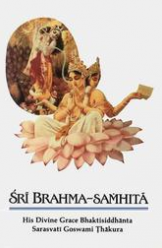 yata eva tayaiva kalau bhagavato viśeṣataś ca santoṣo bhavati. In this material world, the holy name of Viṣṇu is all-auspicious. Viṣṇu’s name, form, qualities and pastimes are all transcendental, absolute knowledge. Therefore, if one tries to separate the Absolute Personality of Godhead from His holy name or His transcendental form, qualities and pastimes, thinking them to be material, that is offensive. Similarly, to think the names of demigods such as Lord Śiva to be as good as the name of Lord Viṣṇu-or, in other words, to think Lord Śiva and the other demigods to be other forms of God and therefore equal to Viṣṇu-is also blasphemous. This is the second offense at the lotus feet of the Lord. The third offense at the lotus feet of the holy name, which is called guror avajñā, is to consider the spiritual master to be material and therefore envy his exalted position. The fourth offense (śruti-śāstra-nindanam) is to blaspheme Vedic scriptures such as the four Vedas and the Puraṇas. The fifth offense (artha-vādaḥ) is to consider the glories of the holy name to be exaggerations. Similarly, the sixth offense (hari-nāmni kalpanam) is to consider the holy name of the Lord to be imaginary. It is offensive to consider the chanting of the Hare Kṛṣṇa mantra to be a religious ritualistic ceremony. Performing religious ceremonies, following vows and practicing renunciation and sacrifice are all materialistic auspicious activities. The chanting of the Hare Kṛṣṇa mahā-mantra must not be compared to such materialistic religiosity.This is an offense at the lotus feet of the Lord. If one has heard the glories of the transcendental holy name of the Lord but nevertheless continues in a materialistic concept of life, thinking “I am this body and everything belonging to this body is mine [ahaṁ mameti],” and does not show respect and love for the chanting of the Hare Kṛṣṇa mahā-mantra, that is an offense.